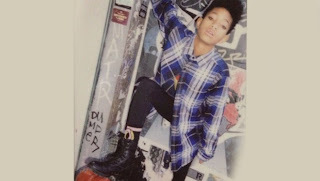 SnapCacklePop: Willow Smith samples Radiohead on new ballad track..! Willow Smith samples Radiohead on new ballad track..! Hang on! What? Hold the phone! Surely not! This something very different from the Whip My Hair singer as she delivers an impressive vocal performance on her new Sugar & Spice. Willow Smith's angst-ridden ballad samples Radiohead's 2011 track Codex and a far cry from the buddlegum pop we have come to expect from the singer, who shows she is maturing into a diverse singer, even though she is still only 12 years old..! Unconfirmed if this track will appear on the 21st Century Girls album Knees & Elbows, its certainly a credible track from the singer. Don’t believe us, then check out the track below..!